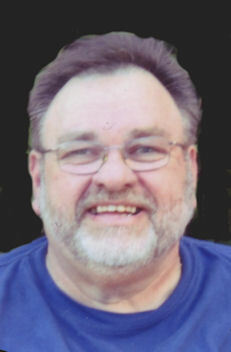 Rodger S. “Ramjet” Wilhelm, 71, of Lorain, died unexpectedly Monday March 25, 2019 at the Cleveland Clinic Avon Hospital. He was born May 19, 1947 and had been a lifelong resident of Lorain. Rodger graduated from Admiral King High School in 1965. He worked for the Ohio Department of Transportation, Lorain Port Authority and the Community Development Department. He was proud to have overseen the development of the Pipe Yard baseball stadium. He was a passionate supporter of all Lorain sports. In 2017, he was awarded the Citizenship Award from the Lorain County Athletic Administrators Association recognizing his many years of service to the athletes, coaches and Lorain community. He loved taking yearly trips with "the guys" to the state basketball tournament and attending the Ohio State Football games with his family and friends. He enjoyed serving as the Financial Officer of AMVETS Post #47 and was also a member of the Lorain ELKS. He is survived by his wife of 46 years Ruth Wilhelm (nee Kuncel); proud father of his three sons: Zachary Wilhelm, Matthew (Vanessa) Wilhelm and Kurt Wilhelm; grandfather of Mason, Madeline, Gianna and Emma and brother of Jack Wilhelm (Corrine), Tom Wilhelm, Fred (Debbie) Wilhelm, Beverly (Darryl) Tomazic and Kristina Wilhelm. He was preceded in death by his parents Elmer & Mary Wilhelm (nee Mihalik) and brothers Francis “Fritz” Wilhelm and Victor “Vinny” Wilhelm. The family will receive friends Saturday March 30th from 11:00 am until the time of the mass of Christian Burial at 11:30 am at St. Peter Parish, 3501 Oberlin Ave, Lorain. The Rev. Craig Hovanec, pastor, will officiate. St. Peter Parish, 3501 Oberlin Ave, Lorain, OH 44052 or Lorain High, Attn: Athletic Department, 2600 Ashland Ave, Lorain, OH. 44052.